1. To prepare the dough, sift flour and salt. Rub in 1 tbsp ghee. Add enough water to make a dough. Keep aside for 30 minutes. 2. To prepare the filling, heat 3 tbsp oil and fry the chopped onion until rich brown. Add keema ( mince), carrot and ginger and mix well. Reduce heat. Add salt, coriander powder, red chilli powder and garam masala. Fry for 1-2 minutes. Cook covered on low heat for about 5 minutes, till the mince is cooked. 3. Add green chillies and 1 tbsp finely chopped coriander. If there is any water, uncover and dry the mince on fire. Keep the stuffing aside. 4. Divide the dough in to 10 equal parts. Shape into round balls. Flatten each ball, roll out each into a round of 5" diameter. Spread 1-2 tbsp of filling all over. 5. Make a slit, starting from the centre till any one end. Start rolling from the slit, to form an even cone. Keeping the cone upright, press slightly. 6. Roll out, applying pressure only at the centre. 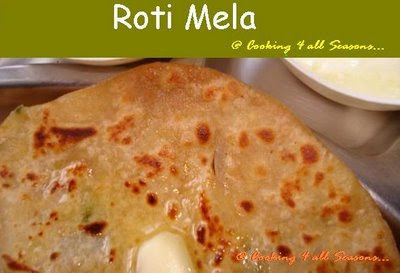 Do not roll or press too much on the sides, otherwise layers of the paratha donot separate after cooking. 7. Sprinkle some kasoori methi and press with a rolling pin. 8. Cook it on hot tawa on both sides, spread some ghee and serve hot. 1-preheat the oven to moderate 180 degree C (350F/ Gas 4). Line a baking tray with baking paper. Beat the butter and icing sugar until light and creamy. Add the egg and beat until well combined. 2-Sift the combined flour, baking powder and cocoa into a bowl. Fold into the butter mixture with the coconut and walnuts. The mixture will be very stiff. 3-Place slightly heaped tablespoons of the mixture well apart onto the prepared tray. Bake for 15-20 minutes, or until lightly browned. Leave on the tray for 5 minutes, then transfer to a wire rack to cool. 4-To make the chocolate frosting, melt the chocolate, butter and icing sugar in a small bowl over a pan of simmering water. Leave to cool until the mixture has thickened, stirring occasionally. 5-Spread the frosting onto the cooled biscuits and sprinkle with the coconut while the frosting if still wet.